When starting out in ecommerce one thing most newbies struggle with is sourcing the products to sell. It can be a long and tedious task searching the internet for wholesalers and dropship suppliers. This is made more difficult by the fact that most wholesalers are not very well represented online. What I mean by that is they are still working old school and not actively promoting themselves online. So searching Google, Bing or Yahoo doesn’t always find you the suppliers you need. This is where Salehoo comes into play. In this Salehoo review you will learn all there is to know about the Salehoo Dropship & Wholesale Directory Membership. Salehoo is an online directory membership program with over 8,000 suppliers and 2.5 million products worldwide. It allows you to access wholesalers, dropshippers, manufacturers and liquidators of products of every conceivable type. It’s clear both Simon and Mark know the pitfalls and difficulties of sourcing suppliers for ecommerce websites. Salehoo based in New Zealand was founded in 2005 and currently has 30 employees. It’s parent company, Doubledot Media Limited was named the 23rd fastest-growing company in New Zealand on the Deloitte/Unlimited Fast 50 index in 2014. At the most basic level, salehoo connects you to product suppliers from all over the world. Its directory is simple and intuitive to use, so there’s no massive learning curve to using the directory. Before using the directory it’s a good idea to research the types of products you're interested in selling or the niche you're in. Once you have some idea of the products you need for your store now is the time to search the directory. The first thing you'll see when you login is the dashboard. From the dashboard you can access all areas of the Salehoo membership platform. As I said earlier it’s very easy to use. You can search by product or company name to find suppliers. In the sidebar there are filters to narrow down the results. 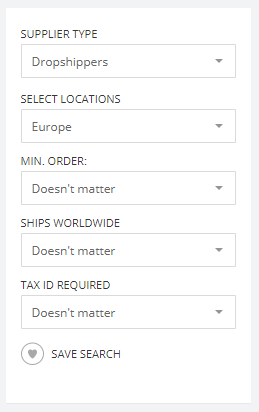 For example you may only want suppliers from a particular country. In this case select the country from the filters on the left. You can also filter by supplier type such as dropshipper, wholesaler, liquidater or manufacturer. As an alternative to searching you can click and browse categories. 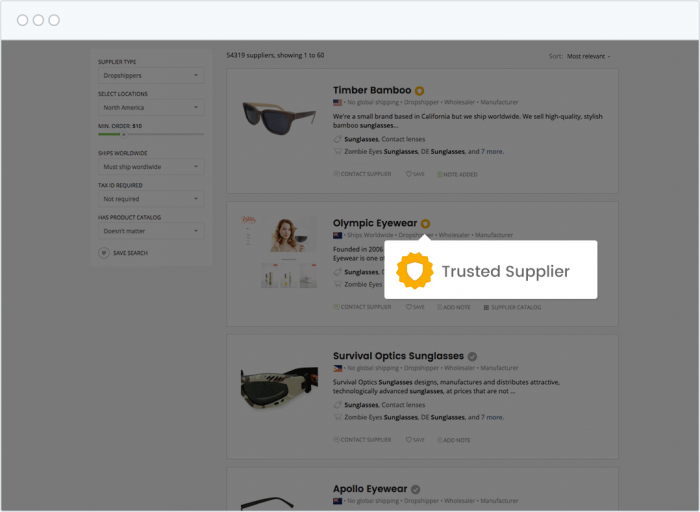 This is a great way to see lots of wholesalers and dropshippers all in one industry category. These are the categories you can browse. What Is Salehoo Market Research Lab? 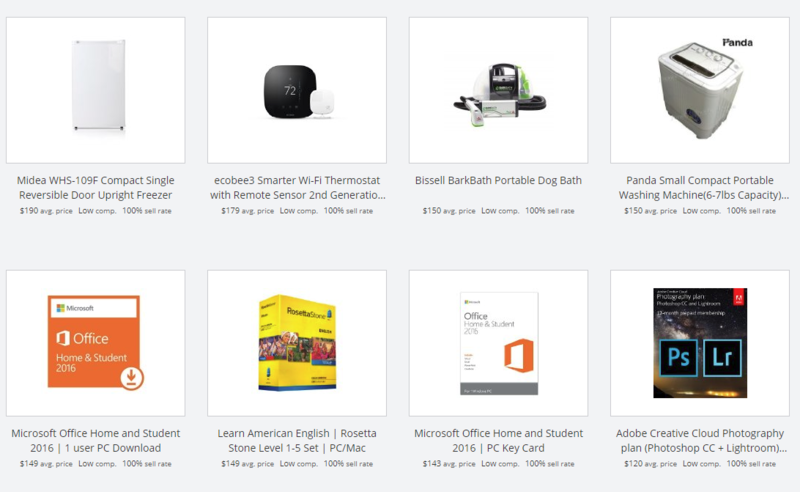 The SaleHoo Market Research Lab lets you research products and see if they'll make you money where you choose to sell... before you buy anything! Using a wide range of data they show you sales trends, competition stats and ideas for hot new niches. You'll be able to make your business decisions based on real data and analysis... not just guessing. Is this product is too competitive? Is this product well-and-truly "saturated" by other sellers? Is there so much competition that it's driving the prices down? The research software will give you easy-to-understand competition ratings, so you'll know when to proceed with caution. Low competition products are highlighted green, medium competition orange and high competition red, as shown in the lab toolbar below. They'll find suppliers for you from the SaleHoo Wholesale Directory so you can click through and get started right away. All suppliers in the SaleHoo Directory are individually checked and verified by them, so you know you're dealing with a legitimate low-cost supplier. Join Salehoo Today and Start Researching Product Trends. Salehoo offers education and training to all it's members free of charge inclusive of the membership fee. Whatever stage you are at in your business setup, training is vital to your success. E-commerce is an ever changing landscape and you have to keep learning to make your business or store and great success. The training is broken up into nine modules covering; Ebay Selling, Selling on Amazon, Importing & Shipping, Product Sourcing, Business Setup, Your Website, Scam Prevention, Online Selling Tactics and a surprise Bonus Training Guide. In addition to all the benefits of the Salehoo Directory, the Research Lab and the Training modules, Salehoo also provides members with additional support through their private members forum. Forums are a great place to meet like minded people. You can ask other members for help and advice or for recommendations on certain suppliers. There are 7 main boards with hundreds of topics and thousands of posts. this is one of the best parts of the membership program. Speaking to other people who have experienced the same issues as you can be invaluable for fast tracking your success. Can You Make Money With Salehoo.com? This is a question which comes up a lot. It's quite interesting because in some ways this question is not the question you should be asking. Think of it this way, would you ask a wholesaler "can I make money if I buy your products?" No you wouldn't! So why ask "Can I make Money With Salehoo?" it's the same as asking your wholesaler to guarantee their products will sell and make you money. That's the wrong approach. The question you should be asking yourself is "Does Salehoo have suppliers for product x, y or z and are they at a price where I can sell for a profit?" If the answer to that question is "Yes" the you can make money with Salehoo. Or you could ask "Will Salehoo help me find wholesalers and drop ship suppliers fast? Yes it will! Salehoo is a tool to assist you in your business. Every business has tools like phones, computers, cars and all sorts just to keep the business running. And Salehoo is just one of those tools. Without products to sell and places to buy the products you've have no business. Salehoo will help you to find suppliers for products you'd like to sell, that's all there is to it. The answer is "Yes you can make money with Salehoo" If you find the right product at the right price. Which shouldn't be hard to do with over 8,000 suppliers to choose from. You can always search Google if you have time to waste. It costs the price of a large coffee! $5.58 per month. This is paid annually at just $67 per year, and that is crazy cheap for what you're getting. Personally I would say it's too cheap for what they have on offer. The time it will save you from searching Google is priceless. Yes, you'll hear many people say "Search Google you can get it for free" but do you really want to spend days, weeks or even months searching for the perfect supplier? When you add on the Members forum which is full of small business owners just like you, AND the excellent FREE training thrown in, AND the FREE Market Research lab, all go to make Salehoo a no brainer for only $67 a year. If you don't think you can earn your money back on this then don't join! 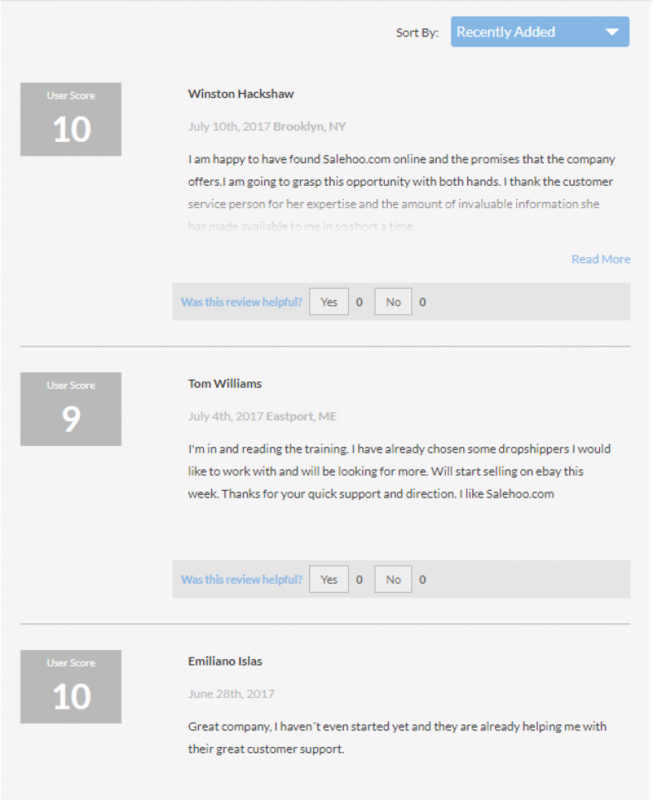 Did you know that when you join SaleHoo.com, you can feel confident that you will be 100% satisfied - or you can ask SaleHoo for your money back? Salehoo are so confident that you will love your SaleHoo membership that they even offer a 60 day money back guarantee when you join. If you are struggling to find suppliers, I suggest you reach out to Salehoo before you ask for a refund. 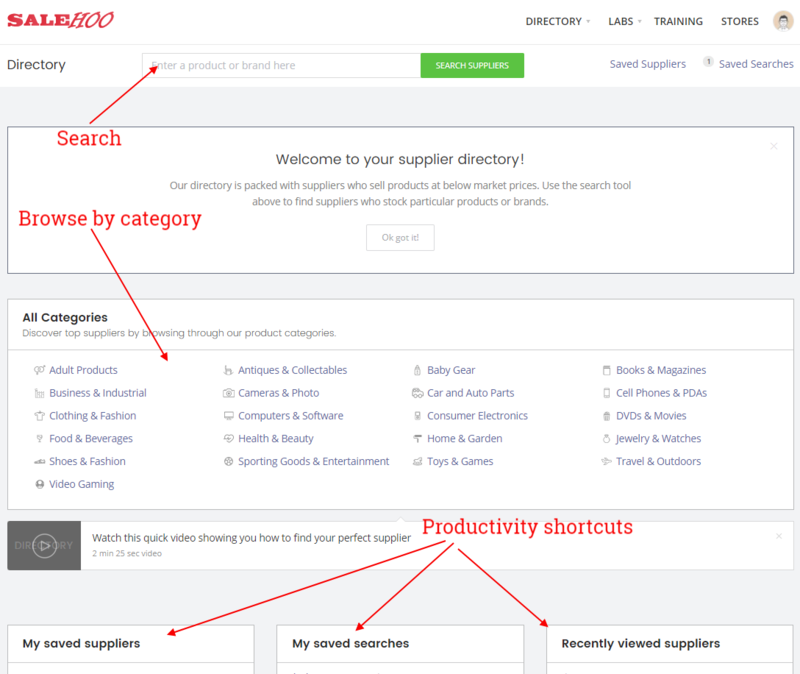 You can ask SaleHoo staff to research additional suppliers outside the directory (including vetting them) and build a custom list for you! And if you're still not satisfied then your money will be refunded (if it's within 60 days of signing up) no questions asked. As with all business they have good reviews and some bad reviews. Nobody is perfect! But what's with the online complaints? I've looked into this and from what I can find out, the complaints and poor reviews relate to the question above "Can I make Money With Salehoo?" If we go back to the previous analogy, would you blame your wholesaler if you couldn't sell their products? No, it's your own fault. You picked the wrong product, or you payed too much for it leaving very little room for profit. Have you heard the saying "it's a bad craftsman who blames his tools" for poor results. The same applies here. Here is what Salehoo had to say about this. Here are some of the latest salehoo reviews for 2017. When you feel disorientated using the Salehoo platform don't hesitate to contact the salehoo support team. They will be happy to help you with a friendly and professional service. Salehoo team, Karen, Rhea and Marc, thanks so much for your help. I am happy to have found Salehoo.com online and the promises that the company offers.I am going to grasp this opportunity with both hands. I thank the customer service person for her expertise and the amount of invaluable information she has made available to me in so short a time. Great company, I haven't even started yet and they are already helping me with their great customer support. In our opinion Salehoo represents excellent value for money. Yes you can search Google for days but with Salehoo the work is done for you. There is excellent support, you great free add ons like the members forum, tutorials, supplier research and the market lab yet it only costs $67 per year. You'll find it hard to find the same services and products for less. Many thanks for sharing this review on Salehoo. Your review is one of the most comprehensive and I got some great insights. Thanks for sharing this valuable information to help people like me. Keep rocking and posting this type of informative reviews. All the very best! I will come back to your website to learn more information.